What is a Cheeky Cocoa Bean? Designer Cards, blogger cards and so much more… From marketing materials to personal cards, business cards have developed from the plain, boring style to a more modern style with rounded corners, square cards, and slim cards. Great news--my readers have the chance to win cool die cut business cards prints from UPrinting! Entering to win is easy...simply leave a comment on this post. (If you receive my blog posts via email, click on the title "Giveaway: 250 Die Cut Business Cards" and scroll down to the bottom of the post. Click on "# Comments" and leave a comment in the box that will appear.) If you subscribe to my blog via email or a reader--either currently or as a new subscriber-- you can leave an additional comment letting me know you are a subscriber. If you win, you get to choose your business card style...so be thinking about how you would like to use the business cards! In adherence to the FTC ruling on Blogger Reviews and Sponsored Postings, I must disclose that I will be receiving 250 Die Cut Business Cards from UPrinting.com for hosting this giveaway. A winner will be randomly picked from the comments on September 20th at 10:00 p.m. EDT. Make sure I have your email address, because you will receive an email from UPrinting with a link to claim your prize! 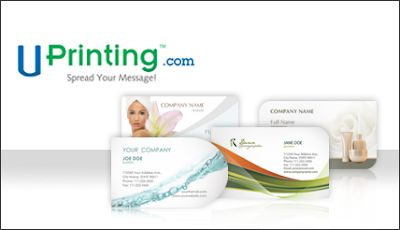 UPrinting provides templates in the various business card cuts on their site; these templates will get you started in designing your own card in PhotoShop, Publisher, CorelDraw, and others. 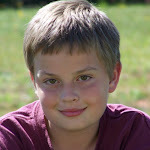 There is also a JPEG format that you can use in any other photo editing software. Cool, I could use them for church. I'm all out and the ones you made that Jason has are really cool. Enter me in!